9x13" personalized cake pan with a smooth woodgrain semigloss finish lid. This personalized cake pan is offers a rustic feel. 9x13" Doughmakers® cake pan with a smooth woodgrain semigloss finish lid. Add a rustic feel to your kitchen. 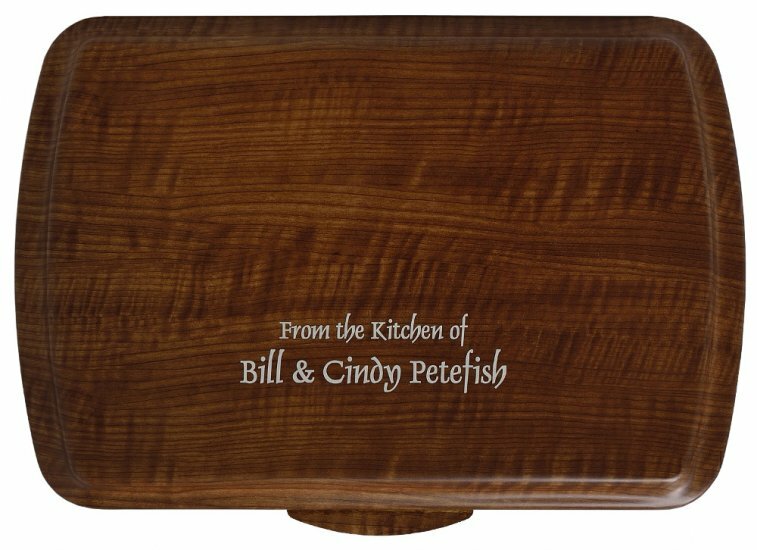 Personalized non-stick lasagna/casserole pan with woodgrain finish lid. 9x13" heavy gauge Aluminum pan with non-stick coating. Aluminum lid with a smooth woodgrain semigloss finish lid., decorative coating. Nice rustic look. Pan and lid made in the USA. 9x13" traditional bar pan with a smooth woodgrain semigloss finish lid. Add a rustic flare to your kitchen today.